Population growth prompted Metro Water Services to establish a Water Master Growth Plan for future improvements needed in their system. 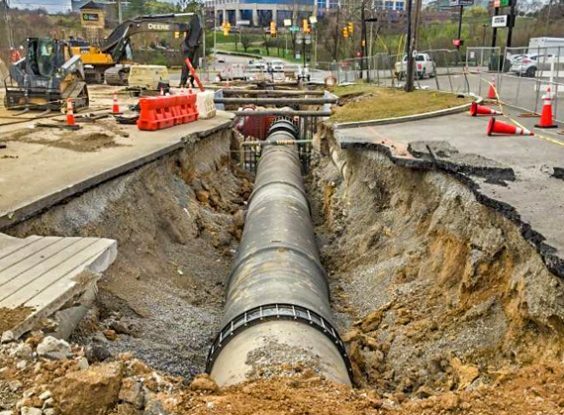 This need identified the Cumberland City Low Transmission Water Main project; the largest monetary water transmission main project Metro Water Services has executed in more than 30 years. 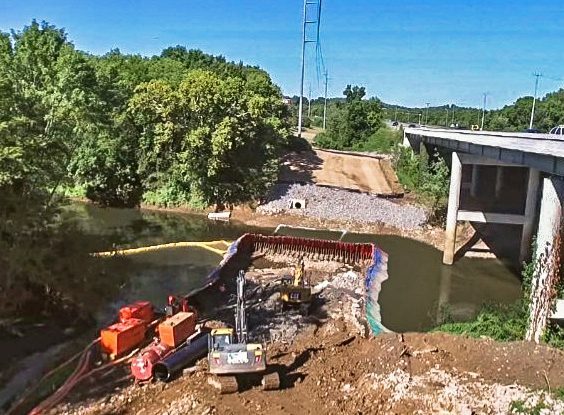 Garney constructed more than 26,000 linear feet of ductile iron water main, including more than 24,000 linear feet of 60- and 36-inch diameter and 2,000 linear feet of 12-inch diameter. 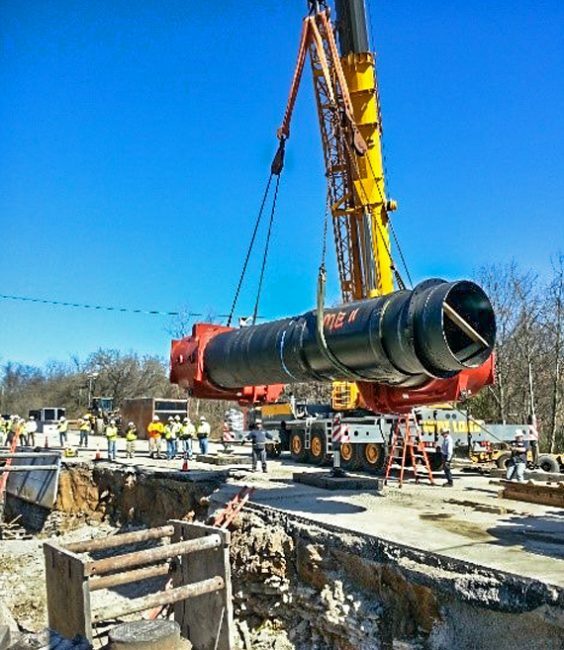 The outcome of the project was a dual-feed water transmission main for an essential portion of Nashville’s water distribution system with quantifiable social, environmental and economic benefits. During construction, an estimated 106 jobs were supported and an estimated $8.7 million in future construction costs were saved by upsizing a portion of the water main to a 60-inch pipe. 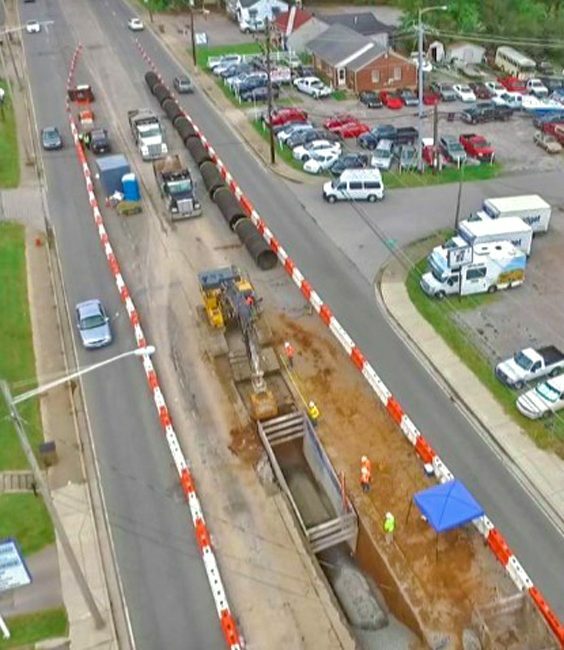 An estimated 1.4 years of additional congestion was avoided, $1.3 million in wasted time and fuel was averted, and $46 million of public health and other external environmental costs were avoided due to the expedited construction schedule. Garney met an aggressive 9-month schedule by working 24-hour shifts to mitigate impact to the public.